The 25th anniversary edition finds its dancing feet. In 2012 the London International Ska Festival suffered a disappointing no show from Dandy Livingstone – who allegedly left the Islington Academy for Jamaica just before his 40th anniversary UK comeback concert. This year the gathering was celebrating another landmark – 25 years sinceSean Flowerdew founded it at Brixton Fridge in 1988. Fortunately the festival’s third edition following its own revival was memorable for all the right reasons. Smaller, multiple venues, a high turnout to fill them, longer set times and an unrelenting commitment to great musicianship made it a smooth-running success. The five venue event spread across Easter bank holiday weekend but, strictly speaking, began with the previous Friday’s launch at an unusual site. 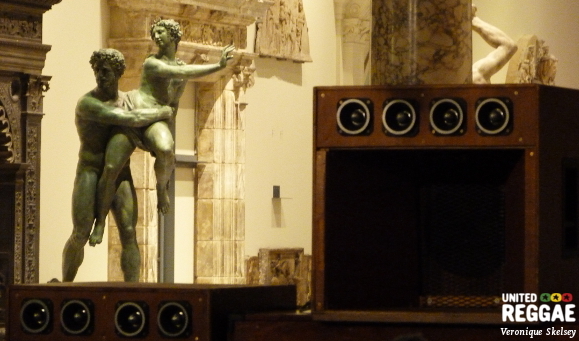 The Victoria and Albert Museum’s stern looking statues shook to the sound system bass of post-colonial independence music. Sets spun by Percival “Metro” Miller and Eddie Regal, Gladdy Wax, Steve Rice and the Tighten Up Crew drew a sizeable crowd, absorbing many from the popular David Bowie exhibition.